This morning I’ve woken to see blossoms appearing on our plum tree, and with Spring just around the corner that’s to be expected, but is always heart warming to be part of the cyclical journey of the seasons. Technology has allowed me to chat with my parents in South Africa, read an email from my sister-in-law in Canada, and see a Facebook post from another Canadian family friend all in the space of about 10 minutes this morning. And every conversation included snippets about the weather. I’m a big fan of eating seasonal fruit and veges, as not only are they cheaper, but I’ve read that they are probably healthier than fruit or veges that have been grown, packaged and transported from elsewhere and possibly stored for a long time before reaching our shelves. At the moment we’re enjoying “lemon season” in NZ, so I’ve been drinking freshly squeezed juice of half a lemon in a large glass of warm water every morning. Very healthy and cleansing, I know. But the other day I opted for something a little less healthy, but delightful to bake, eat and look at. Depending on the recipe, cupcakes can sometimes be a little dry, but by hollowing out a small hole in the centre of the baked cupcake, you can add all manner of surprises, taking the cupcake to a whole new level. This recipe is delicious with or without the “surprise”, not dry at all. And what is the surprise? Lemon curd! Using a sharp knife, carefully remove a small portion of the centre of the cupcake and fill with a blob of lemon curd, taking care that you don’t mess it all over the top of the cupcake. Then ice the cupcake in the normal way. 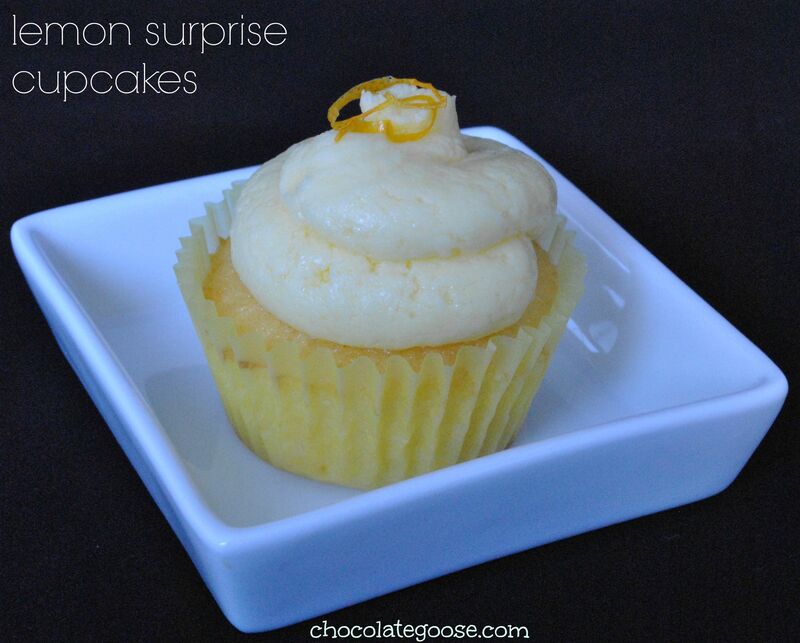 This lemon buttercream is to die for so no skimping please. Go a little crazy and pile it up high. To finish off the decoration, place a few strands of lemon zest on the top. Simple, elegant, delicious. What more can you ask for? Preheat the oven to 180°C and line a 12-hole muffin pan with paper cases. Place the butter, sugar, lemon zest, eggs and flour into a food processor. Process for about 10 – 15 seconds. Scrape down the sides of the bowl and process again briefly. Pour the warmed milk down the chute and pulse until combined. If you don’t have a food processor, cream the butter and sugar until light in colour and fluffy. Add the eggs one at a time and beat until well combined, but don’t overbeat – it’s a fine line. Add the lemon zest. Sift in the flour and mix slowly until just combined. Then move on to step 5 below. Spoon the mixture evenly into the prepared pans and bake for 15 – 17 minutes or until a skewer inserted comes out clean. Set aside to cool in the pan for a few minutes before turning out onto a wire rack to cool properly. 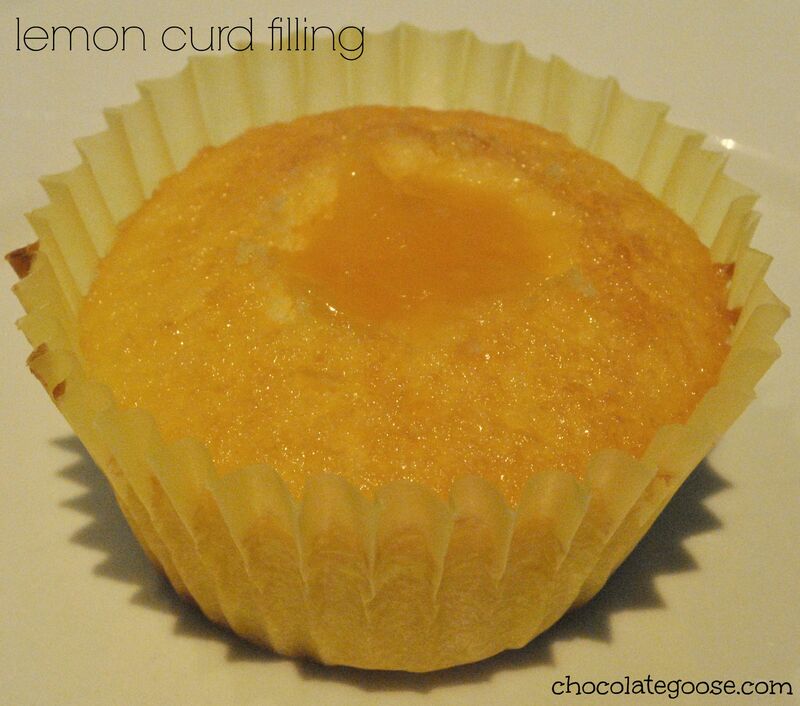 When cool, cut a tiny hole in the top of each cupcake and fill with a teaspoon of lemon curd. Cream the butter until very pale, about 3 minutes, stopping periodically to scrape down the sides if you need to. On a low speed, mix in the icing sugar alternately with the lemon zest, juice and milk/cream. Continue to beat until light and fluffy. Pipe onto the cooled and filled cupcakes. Decorate with the last of the lemon zest.